Let’s be honest, who doesn’t love a good zombie game? In ZOMBIE LAST STANDS from GRRR GAMES, you build a fort, choose what skills to give your troops, manage funds and most importantly defend your realm from the hoards of attacking zombies. Set in 1879, during the Zulu War, you manage a small detachment of British soldiers running a garrison in a remote farmhouse. You must hold off the attacking zombies until help arrives. ZOMBIE LAST STANDS was designed and built by Alex Scarrow, author of an international bestselling series of teen novels called ‘TimeRiders”. The game features frantic real time action with a pause mode to give you time to think. 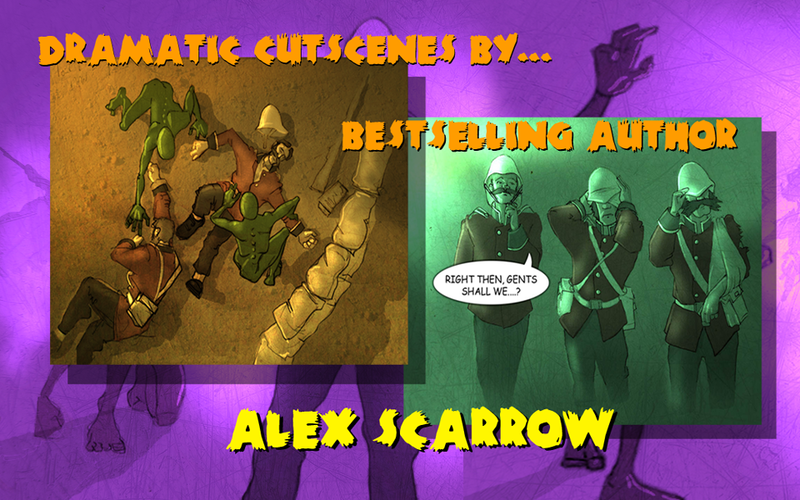 It contains hand drawn, graphic novel style cut scenes and fitting music. Alex proudly touts that there are no ads, in-app purchases, or rating nags to get in your way. ZOMBIE LAST STANDS was launched on February 14, 2016 and is available both on the Apple App Store and Google Play. Download it today and enjoy. You have my fullest respect, to create a complex game like this without a history of making games. Good luck with it, and I will buy your first Timerider book for my nephew. And then I will steal it from him when he has almost finished it and read it myself. Please write more books and create a game with rats.